The last I posted, it was ramp season. You would only have to check the weather or better yet visit www.kymesonet.org–click on Oldham County–to know what we have been doing: dragging hoses. Before I sound ungrateful for the rain we have had, I know other counties like Henderson and Union have suffered worse–receiving less than 16 inches in 2012. THAT’S FOR THE WHOLE YEAR! Woodland to date has had 26.04 inches. I am grateful. One might wonder, why not throw open the hydrants and make it rain? If it were only that simple. We have livestock to consider. 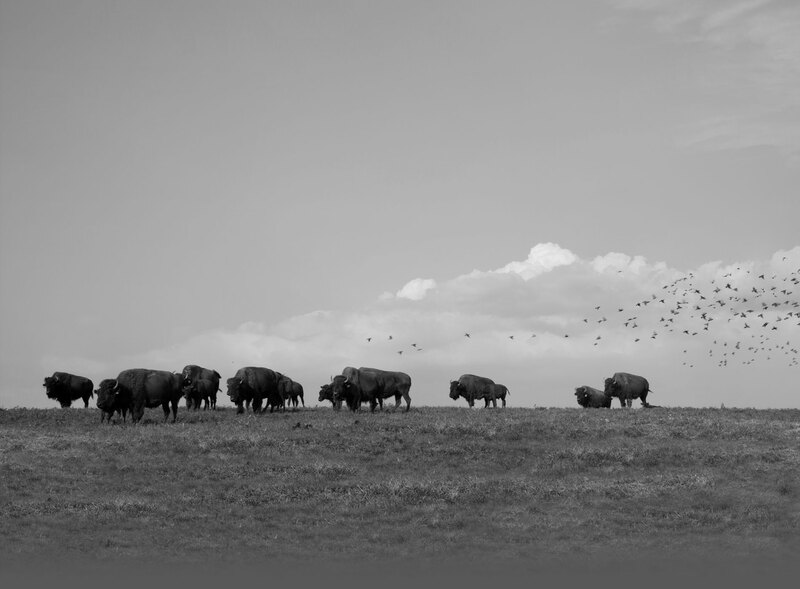 If we were to pull all the water the garden desires, the bison would not receive what they need. For healthy bison I will stand proudly next to my stubby 3-4′ okra plants and maybe even accept a racquetball sized pear-apple. There are always dreams of next season to keep me going. Thoughts of harvesting okra with a ladder and bushel baskets full with 100 pear-apple rather than 50. Either way the fruit tastes just as sweet. This entry was written by Stephanie Tittle, posted on August 25, 2012 at 11:18 pm, filed under In the Garden. Bookmark the permalink. Follow any comments here with the RSS feed for this post. Both comments and trackbacks are currently closed.